Updates Behind-the-scenes, Craft, Planner Just some updates! One of the most challenging thing about planning a wedding is to be able to have ample knowledge and creativity skills to come up with unique themes, ideas and artwork that can surprise the others. Anyway, we are really excited about the coming wedding in September, which is in exactly one month’s time! As the date of the wedding draws nearer, we have been busy running around vendors’ shops, eg. 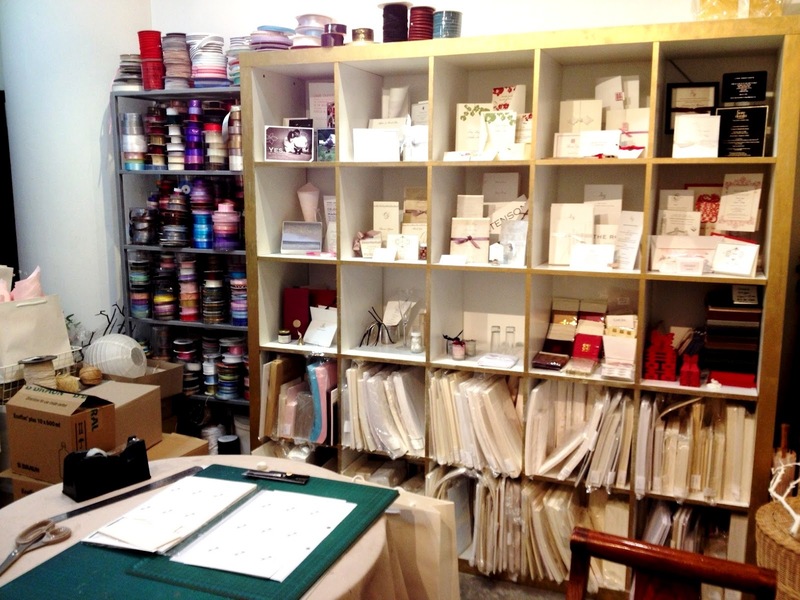 our florists, printing shops to finalize all the nitty-gritty details before the big day! It has always been a pleasure to run about doing such errands – it’s as though every trip that we make, we are about 5% closer to making somebody else’s dream come true! Nuff’ said, here’s a little peep of us doing a small errand to the craft shop to discuss about the invitation cards. Seems like everyone’s hard at work.. that’s all for now! Have a great weekend ahead, everyone! Copyright © ETERNAL EMOTION – Singapore Wedding Planning & Operations All Rights Reserved.